This entry was posted in Credit Card Reviews on February 25, 2017 by Advicebook. The Bank of America cash rewards credit card, known as BankAmericard, has one of the best cash-back rewards, especially if you spend a lot of money on gas and groceries. It offers 3% cash back on gas purchases and 2% cash back on groceries, limited to a combined $1,500 per quarter. After Intro period, variable APR is 12.99% – 22.99%. Let’s first take a more in-depth look at the advantages of the BankAmericard. 1) 3% Cash Back on Gas and 2% Cash Back on Groceries – This applies to the first $1,500 in combined grocery store and gas purchases each quarter. This means you can earn 2-3% on up to $6,000 of your spending on groceries and gas each year! Once $1,500 is reached, all subsequent grocery store and gas purchases will earn 1% cash back. 2) 1% Cash Back on All Purchases – Some credit cards may give you great rewards for only a few categories but below-average rewards on everything else. However, with BankAmericard, not only can you earn 2% and 3% on grocery and gas respectively, but you are also guaranteed unlimited 1% cash back on all other purchases! 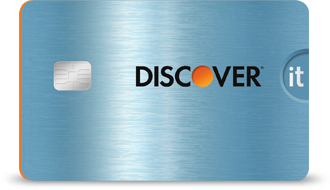 You can easily make the BankAmericard card your default credit card or use it in conjunction with another card. 3) Free $100 Bonus Sign Up – You receive a free $100 signup bonus after you spend $500 on your credit card within the first 90 days of account opening. 4) 10% Ongoing Bonus – Bank of America customers get an ongoing 10% customer bonus each time you redeem cash back into a Bank of America checking or savings account. 6) 0% Introductory APR for 12 billing cycles – The 0% introductory rate also applies to purchases and balance transfers made within 60 days of account opening. After the introductory period, variable APR is 12.99% – 22.99%. 7) Low Threshold for Cash Back Redemption – Some cards only allow you to redeem rewards once you reach a certain threshold, often a high one. With BankAmericard, cash rewards are redeemable starting at $25. 8) Rewards Do Not Expire – Redeem your rewards anytime you want after you reach the $25 minimum threshold. Automatic redemptions can be set up to make it even easier for you to save money. You can redeem your rewards for cash back through several different methods, including a deposit directly into a savings or checking account, a credit to your statement, or a check. You can also redeem your rewards to help pay off a Bank of America mortgage. 9) No Changing Categories – Unlike the Chase Freedom credit card, which has changing bonus categories each quarter, BankAmericard does not have any changing categories. Thus, you avoid any hassle of having to remember the current bonus categories. 10) Tap and Pay – BankAmericard has a feature available with select Visa and MasterCard credit cards that allows you to purchase items at participating retailers by tapping your credit card on the device reader. Although this is not a critical feature for choosing a credit card, having the option to utilize tap and pay is just a bonus convenience for some people. One disadvantage of this Bank of America cash rewards card is that although, it offers a competitive 3% cash back on gas and 2% cash back on groceries, the rewards are limited to $1,500 of combined purchases per quarter. Although you will still be eligible for 1% cash back on gas and groceries after the $1,500 limit, this is a factor to consider in the card selection process. If you spend well over $1,500 on gas and groceries each quarter, you may want to look at other cards or use the BankAmericard cash rewards card in conjunction with another card. For example, to maximize your cash back on gas, consider using the Chase Freedom credit card during the 6 months when they are offering 5% cash back on gas. BankAmericard Cash Rewards is generally for people with relatively high credit. If you do not have a good credit score, you may not be approved right away or you may start off with a low credit limit. This entry was posted in Credit Card Reviews on February 24, 2017 by Advicebook.